Arambol beach is one of the most charming beaches of Goa, located 50 km from the capital city of Panaji. The easiest way to visit to Arambol beach by yacht cruiser. 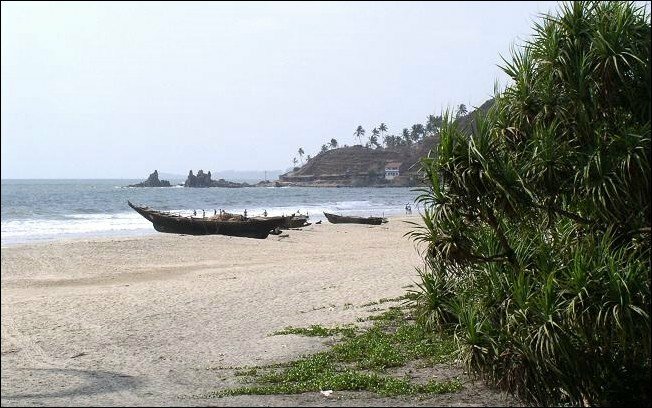 The long golden sand stretch of this northern beach of Goa comprises mainly two beaches. While the main beach, Harmal beach is a more popular one, the other one which is more beautiful can be accessed by foot and is bordered by cliffs. Serenity and tranquility has made the Arambol beach one of the favorite among the Goa beach lovers. Though the beach does not remain crowded, on sundays, locals and tourists flock to this beach to enjoy its breathtaking beauty and engage in beach activities. The palm trees, the golden stretch of sands along with the calmness and harmony of Arambol beach make it a must visit while touring Goa, which is the beach capital of India. Arambol is along the Goa border with its fresh water lagoon. This is the best choice for honeymoon holidaying in Goa by Yacht.